Deciding to get a new puppy is such an exciting time, but once you start doing some research it can be a minefield! With so many breeds to choose from, it is important to make sure that you decide on the right one to suit your needs and lifestyle. At Kingston Veterinary Group we offer free pre-puppy consultations to help you choose your Perfect Match. Contact your local practice for details. Congratulations! You’ve reserved your new puppy. This is such an exciting time, but also such an important time in your new pet’s life, when training and discipline can affect how they behave for the rest of their lives. At Kingston Veterinary Group we offer free pre-puppy consultations to help you prepare for your new arrival, including advice on toilet training, mouthing, nutrition and much more. 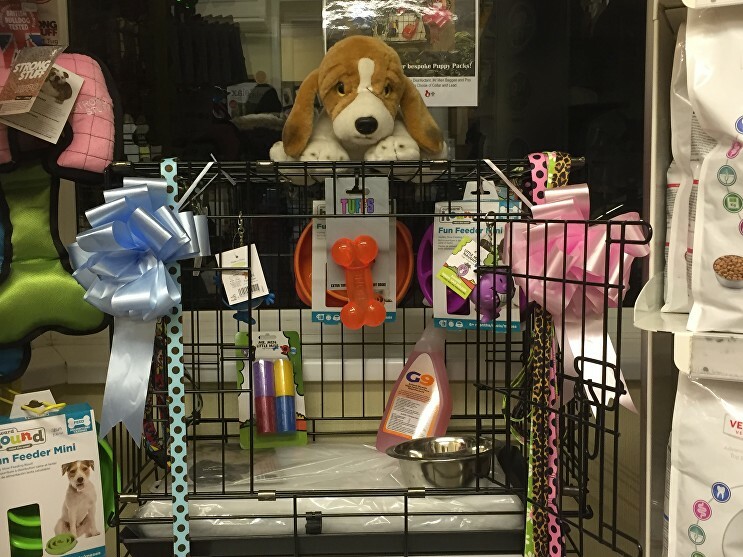 You will also have the opportunity to purchase a bespoke Puppy Pack, with everything you will need to keep your puppy safe and happy, at outstanding value.